Write the story of your pirate directly to its skin with the tattoo sets! Creating the perfect pirate in Sea of Thieves requires more than just selecting the right outfit to match a hook hand or peg leg, it means choosing the tattoo that tells the best story. 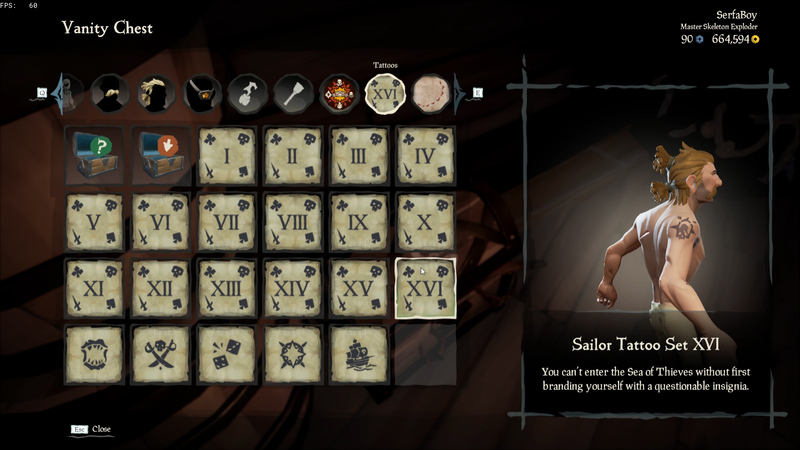 There are currently dozens of tattoo sets in Sea of Thieves, so there are plenty of options for even the pickiest of pirates out there. All of the tattoo sets can be found in the vanity chest aboard any ship or out the front of any of the clothing stores at any of the six outposts in the Sea of Thieves. Some tattoos are exclusive to timed events, such as the Hungering Deep set, a tattoo that was earned by completing the Hungering Deep campaign. 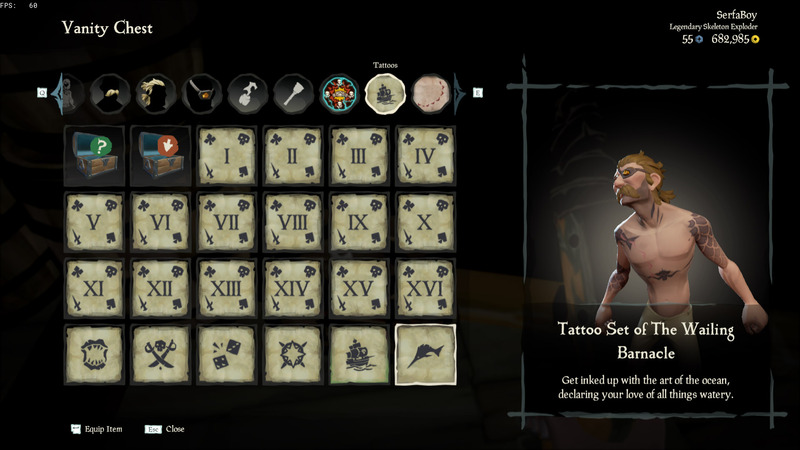 It’s a good idea to participate in any future events to ensure that all possible tattoos are unlocked. While the Sailor Tattoo Sets are all fairly generic and deal with one or two areas on the body, the final tattoos are almost full-body sets, each with a unique theme. It’s worth noting that the tattoos are not permanent, so players can take them on and off or swap them at any time. With your pirate all tattooed up and looking the part, take a moment to check out our Sea of Thieves guide and walkthrough for other helpful articles such as how to get doubloons and the fastest way to rank up.